I have problem with Login to android tablet application. It says that hc2 cannot be find ! But, in adding, all the IP and others are okey. 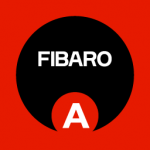 I thas been checked with fibaro finder. After trying new user, It connects but after 3 times closing the app, It wont work again. Please, reinstall the app and then try to connect to your gateway again. Also, check in your Fibaro system if the tablet you are using is on the list of devices allowed to connect in "Access Control". Do you have problem with connecting on all accounts (admin and others)? Or only on specific ones? Actually at the first, it was for my walltablet, after solving the problem by uninstalling, It happned for samsung tablet. by trying some times, it solved. but it may agin happen. And, also their name is in allowed access control. Is there any limit of account on it ?